Since we spend about one third of our life sleeping, it should be considered as a priority. A poor posture of the neck can result in continuous stress on the structures of the cervical spine which can cause problems leading to pain or increase neck pain symptoms, reducing chances of improving. In healthy individuals, relaxation of soft tissues during sleep puts the neck at risk due to stress from poorly controlled movement and improper support. In persons that have neck disorders, the risk is compounded by weakness or from structures that have been stretched. Improper sleeping posture represents a form of sustained stress that can lead to neck pain, shoulder pain and headaches. A person who reads in bed every night with their head bent forward may unknowingly create a disruption of the normal curve in the neck. This is similar to sleeping on your back with a pillow that is too high and forces the head forward. This position hyperflexes the neck or pushes the head forward, disrupting the normal curve and stretching the muscles and ligaments in the back of the neck. 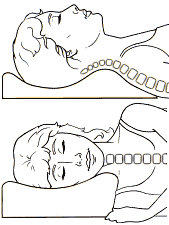 The longer you sleep like this, the more damage can be caused, furthering neck pain & sleeping problems. Similarly, sleeping on your side with a pillow that is too high or too low can cause problems with the soft tissues that can effect, muscles, ligaments and nerves and blood flow. For example, with sustained stretching of the muscles while sleeping, in order to prevent instability in the spine, the muscles must work harder and they become fatigued. This can lead to loss of strength in the muscle and make spinal instability more likely which can have negative effects on the deeper tissues like the discs between the neck bones. In general, you are not completely still for the whole night as your body changes positions, however, it does not take long for the negative effects of poor sleep posture to effect problems with neck pain. 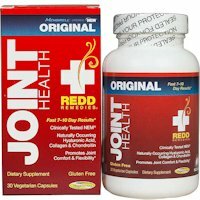 You must also keep in mind that certain medications will allow the body to remain in one position longer and some conditions like having a draft from a window or ceiling fan on your neck can cause the muscles to tighten more quickly and of a greater intensity while you sleep. 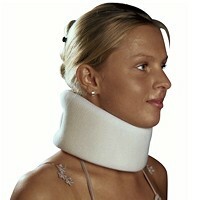 Use of special therapeutic pillows can help keep your neck in the proper position while sleeping. These types of pillows have separate areas for back and side sleeping that are aligned to your size and often come in different height levels which you can measure for a good fit. The plus is the best alignment in each laying on your back and side positions, while the negative is you have to move from position to position purposefully. To sleep effectively with these types of pillows, you should be able to change positions consciously. 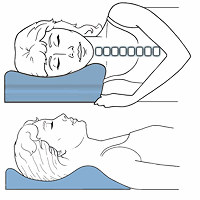 If you can do this, it can be a solution in seeking pillows to help neck pain. When you sleep in poor positions, this causes extended periods of time in harmful neck postures. Night after night, this can complicate or help to foster neck pain conditions like degenerative disease of the discs or what spine specialists call spondylosis of the cervical spine. Conditions which make sleeping difficult are spasms of the neck muscles or what some people call a crick in the neck, tension neck syndrome, and trapezius myalgia. 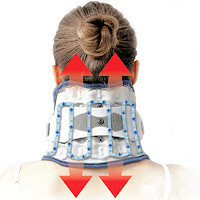 It also increases the risk factors for neck pain. This is not unlike sustained periods of time in a poor lower & upper back posture as in poor posture when sitting, since there is a relationship between pain & posture habits. Significant neck pain while sleeping, regardless of posture, should be checked out by a health care professional, especially with a fever. In general, the way you sleep can contribute, perpetuate or even cause neck pain. Having a good mattress is assumed. 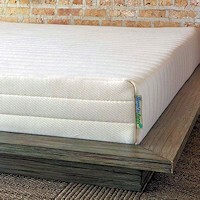 An old mattress can affect the entire spine and diminish the benefits of a good pillow. Taking some basic precautions can help. Make sure there is no cold draft on your neck and help maintain good posture while you sleep by using ergonomically designed neck pillows. Does How You Sleep Really Relate To Neck Pain? 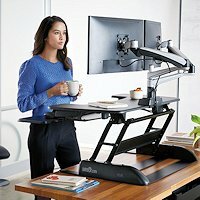 An August 2015 study in the Clinical Journal of Pain of 422 individuals indicates that neck pain patients suffering from poor sleep quality are less likely to have their symptoms improve. Those with improved sleep quality had improvements in pain and related disability. A 2015 study in the Pain Physician Journal of 218 patients with chronic neck pain found over half suffered mild to severe insomnia. They concluded that insomnia should be an crucial part of managing neck pain. The authors noted depression as a special risk factor. For more on getting better sleep: Tips To Help Insomnia.